Watch the action of 2011 BC Ski Games! 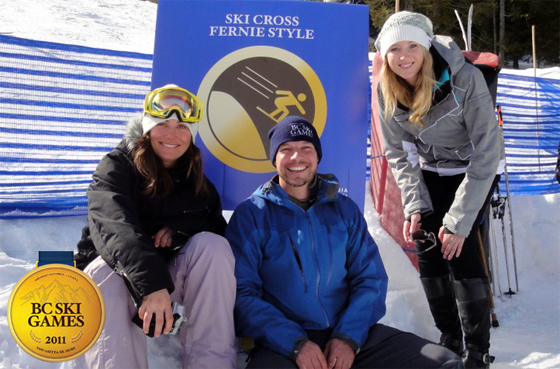 Tourism BC’s BC Ski Games contest winner has chosen the increasingly popular Fernie Alpine Resort out of 13 different prize packages. Mark Chambers from Edmonton, Alberta won the 2011 BC SKi Games contest where he and seven of his friends will ski and snowboard at Fernie Alpine Resort as part of his five-day vacation prize package. Tourism British Columbia Field Reporter, Chris Wheeler, joins the winners for the excitement of the BC Ski Games which is a one-day event that includes a ski-cross race, a snowmobile scavenger hunt and a hot tub trivia game. As part of the BC Ski Games festivities, the group will also receive ski and snowboard training from campaign spokespeople and Olympic gold medal athletes Ashleigh McIvor and Maëlle Ricker! Located in the Canadian Rockies, Fernie Alpine Resort is known for deep snow and varied terrain featuring five unique alpine bowls over 1,000 hectares (2,500 acres), the most bowls in North America.